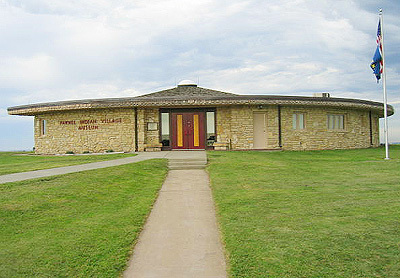 Pawnee Indian Museum State Historic Site is a finalist for the 8 Wonders of Kansas because it is one of the only museums in the Central Plains that tells the story of an indigenous tribe! (Republican) Pawnees was occupied in the late 1700s and possibly again in the 1820s and was home to as many as fifteen hundred people, in this area located in present day Republic County. The Pawnees lived in forty to fifty earth lodges during the spring and fall. Thousands of dogs and hundreds of horses lived with them. In winter and summer, they traveled through what is now western Kansas living in tipis and following the buffalo. The historical significance of this village prompted the Kansas State Historical Society to excavate a portion of it in the 1960s. 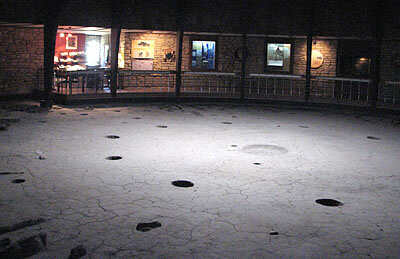 In 1967 a museum was actually built over one of the big lodge earthen floors from the 1820s village. It had been a round house fifty feet in diameter and maybe housed 40-50 extended family members. As you gaze across the excavated floor you'll see the ashes are still in the fireplace, postholes are still visible, bone hoes are on the floor and burned corn, trade hoes, and tool-making equipment are all at rest just the way they were found. The grounds outside the museum are dotted with the imprints of other lodges and numerous artifacts inside the museum tell the story of the powerful Pawnee Nation. Hours and admission charge: Wednesday-Saturday 10 a.m.-5 p.m.; Sunday 1-5 p.m. Adults $3; students and senior citizens $2.